Today’s post is a little different…a little out of my ‘comfort zone’. At the end of February my fellow blogger & friend Lina from Lin’s Recipe’s sent out a challenge to make different North Indian cuisine. I was intrigued! I’d never made Indian cuisine before and had only eaten it once or twice so I really wanted to participate – as I said, to push myself out of my comfort zone and try something new. I chose Chicken Tikka Masala…after a little research (All Recipes, Bon Appetit, Food Network & Epicurious) I realized that each recipe was different so instead of following one of theirs I created my own unique Chicken Tikka Masala recipe! I think Lina’s going to be happy with the results…I know I was! Season chicken with 1 teaspoon each cumin, Garam Masala and coriander; 1/2 teaspoon each turmeric, paprika & salt; the cinnamon and ginger and three cloves minced garlic. Add the yogurt and mix well to combine. Set oven to 450 degrees Fahrenheit. Marinate chicken while the oven is preheating. Place chicken on a broiler pan with rack that has been sprayed with cooking spray. Bake 10-15 minutes on each side until chicken starts to brown. Meanwhile prepare the sauce. In a sauce pot, sauté the diced onion in a little olive oil for 8-10 minutes until tender. Add the remaining two cloves minced garlic, 1/2 teaspoon each cumin, garam masala & coriander; 1/4 teaspoon each turmeric & paprika and 1 teaspoon salt. Sauté another minute or two. Add the Fire Roasted diced tomatoes and cook for a few minutes to combine all the flavors. Place onion-tomato mixture into a food processor and process until smooth. Place back into the sauce pot and raise the heat; add in the heavy cream and the coconut cream (to taste); stirring to combine. Heat through. Add the cooked chicken into the sauce. Serve with Naan bread that has been brushed with garlic butter. Yummy! This recipe has been shared on Senior Salon, The Pin Junkie, Throwback Thursday, Foodie FriDIY, Fiesta Friday, and Saucy Saturday…go check it out and visit some other great sites too! Saving the recipe, making it as soon as possible, the dish looks amazing! Linda, I applaud you for trying something out of your comfort zone! Great step by step photos too! Yummy chicken tikka! We eat Indian a LOT but I’ve only made it a few times. It’s always been delicious but, as you say, it’s out of my comfort zone so requires a certain amount of mental fortitude I’m not always posessing!! But this dish is one of my favorites so I have to give it a try. Thanks for linking up at #SaucySaturdays. I had actually already liked and commented on this post! I wonder what happened! You have mastered the chicken Tikka Masala! The colour is just perfect..I’m really impressed! Thank you so much for participating! It was a pleasure having you…I’m so glad you tried something out of your comfort zone and have done your 100%! Atb Linda! This has got to be one of my fave dishes and I can’t wait to try it! Thanks for linking up to us on Throwback Thursday! This looks great Linda! I’m saving this recipe for sure! Thanks for sharing at Inspiration Thursday. This is definitely a kepper! 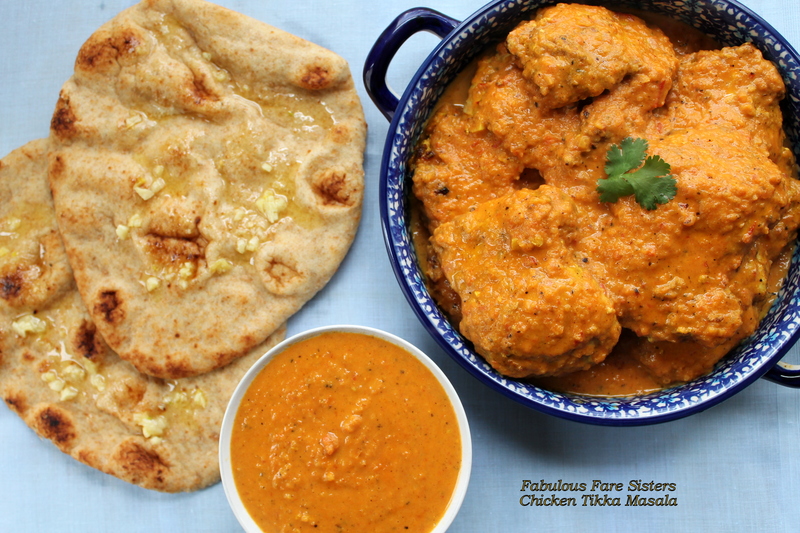 I love chicken tikka masala and this is really making me hungry! I’m also impressed that you created your own recipe even though it was new to you. I’m so impressed that you created your own recipe for something so new to you! That takes a lot of courage and good cooking sense! This sounds delicious, and oh my, I’m amazed at the richness of the sauce. And how could I not love the use of fire-roasted tomatoes? What a great way to introduce flavour! Great job Linda! It looks delicious! Whoa! Great recipe, looks so very good! It’s great you stepped outside of your comfort zone for this. The photos are outstanding! YASSSSS Linda, you know how much I love a good challenge girl, yassss!!! This looks soo good on my screen right now AND I just got home from the gym. 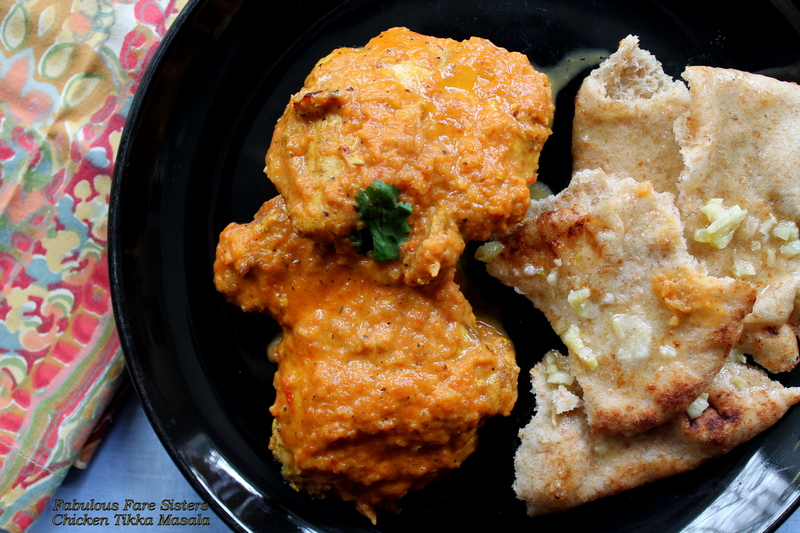 One of my top curries Linda – love your version! Looks absolutely delicious! I also haven’t ventured into Indian cuisine very much but I love the spices. Mmmmm lip smackin’ good, I bet! Miam, miam! I love Indian cuisine!! Okay, I won’t lie…in my family it is said that I will eat anything that doesn’t eat me first. So far I’m still on the top of the food chain! Anyway, years ago I was blessed by 3 women who spent the day teaching me how to create three of their traditional Indian dishes. It was fun and delicious! I haven’t made the dishes too often though since it’s only me and He-Man that like this type of food. So, we dine out at a favorite Indian restaurant. This chicken is tops on our favorite dishes. Linda it’s so funny you published this today – I’m having leftover Chicken Tikka Masala for lunch! 😊 I’ll definitely have to try your version next!